Jon Cox is a native of Reedley, CA. Upon graduating high school, Jon received an athletic scholarship for swimming at CSU Fresno where he would eventually graduate with a Bachelor of Science Degree in Engineering, Construction Management. 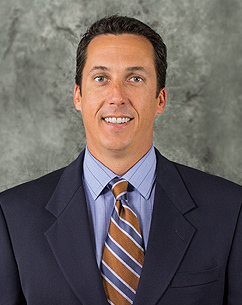 Jon began his commercial real estate career at CB Richard Ellis’ Anaheim office in 1997. While at CBRE, Jon specialized in the sales and leasing of office properties. After seven years as an office specialist, Jon made a move to retail and joined Commercial Retail Associates in 2005. Jon has been involved in all aspects of retail real estate, representing landlords and tenants throughout the Central San Joaquin Valley and the Central Coast.